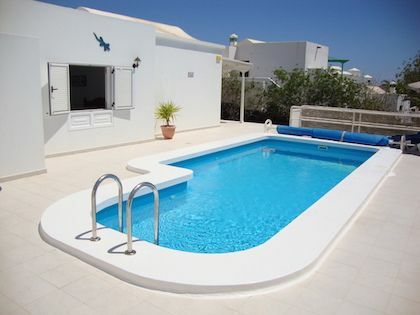 Casa Jaime is a two bedroom, two bathroom villa with a private, heated pool. This modern-style villa is conveniently located in a relaxing setting within easy walking distance of the beach, shops and restaurants. 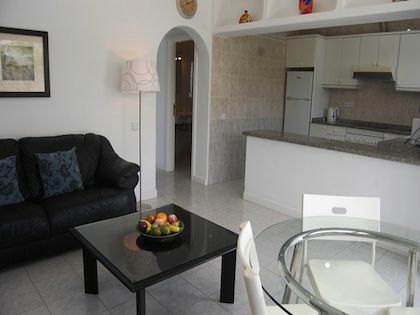 The villa is comfortably furnished and well equipped. 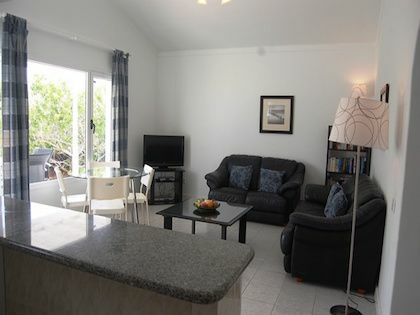 Entertainment is provided by free WiFi, Satellite TV, DVD player, CD Player and iPod dock. Outside there are open and covered sun terraces, a pool side shower, patio furniture, sun loungers and a BBQ for that all important al-fresco dining. 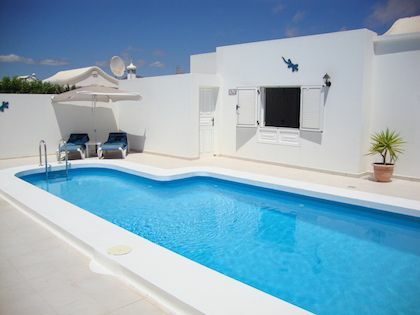 The villa has a private heated pool, electrically heated November - April inclusive and solar heated the rest of the year. Casa Jaime was really lovely. We don’t normally stay at the Los Pocillos end of the resort but we were pleasantly surprised. The area is really quiet and the villa had everything we needed for a relaxing break. The pool especially was a good size and there was ample seating outside. We would definitely stay there again. A sweet little property and perfect for just a couple. 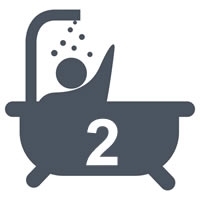 Bed was very comfortable and it was nice to have an adequate supply of bathroom towels. 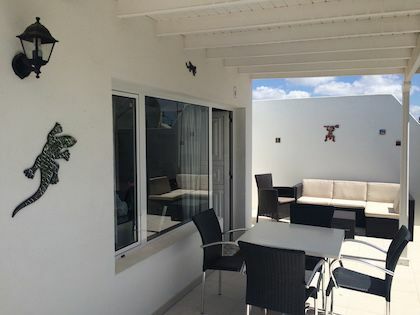 Nice little touch with the rattan furniture on the patio which made it fabulous to be able to sit out when the sun had moved round in the evening or first thing in the morning..
Casa Jaime is located in the Los Pocillos area of Puerto Del Carmen, Lanzarote. 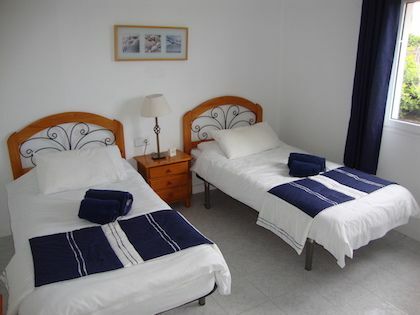 The villa is a 10 minute journey by car from Arrecife airport. 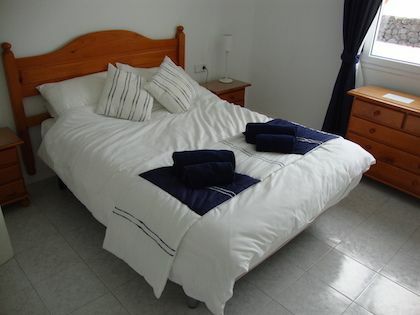 It is in an excellent location for amenities, as it is just a short walk to the Pocillos beach and the main beach. 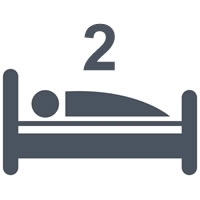 Bars, restaurants and shops are just a 5 minute walk away.